How do you frustrate moto-journalists around the world? 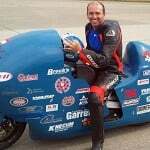 Casually mention “turbo engine for motorcycles” at the bottom of a long press release and then say absolutely nothing else about it. 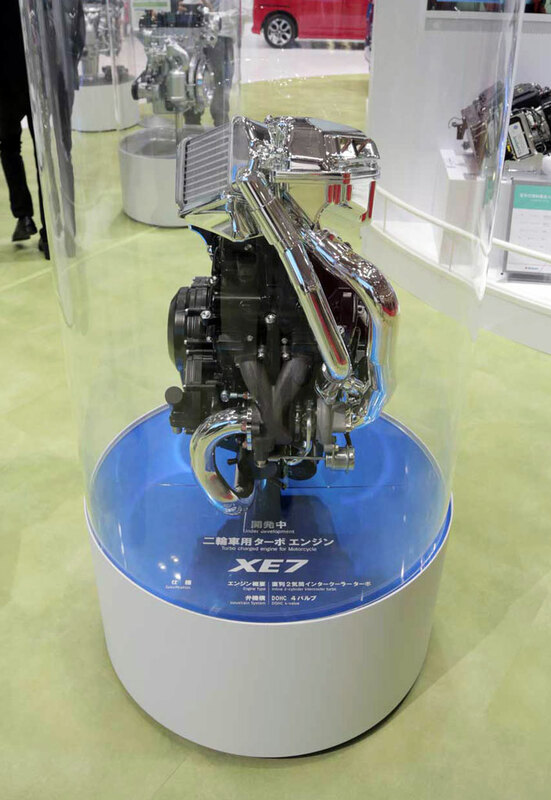 That’s what Suzuki did with its new turbocharged XE7 engine prototype, on display at the 2015 Tokyo Motor Show. We’ve known Suzuki has been working on turbo engines for a while now, both with the Recursion concept shown at the previous Tokyo show in 2013 and the multiple patent applications that have popped up since then. 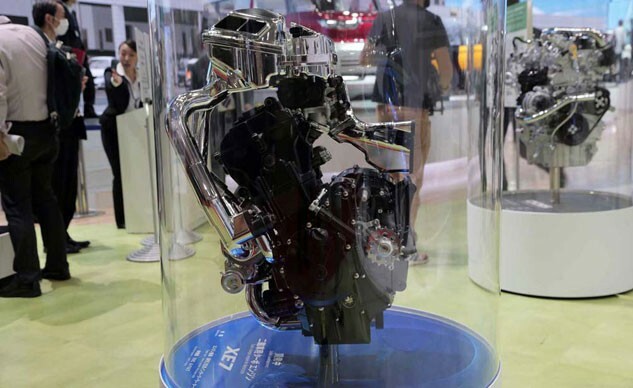 Suzuki is remaining silent on the XE7, leaving us to piece things together ourselves. Thankfully, our sister publication AutoGuide.com was in Tokyo and video editor Chris Blanchette snapped some shots, giving us a good look at the XE7 engine. Here’s what we know so far: the engine is a four-valve DOHC parallel-Twin with an intercooler turbocharger. While the XE7 shares some similarities with the Recursions’ patent-pending engine, it’s clearly a new design. The exhaust-driven turbocharger remains at the front of the engine but higher up. The intercooler is no longer on the opposite side, which would have put it under a motorcycle’s seat. Instead, the intercooler and airbox are above the cylinder head. We don’t know the engine displacement, but it’s likely close to the Recursion’s 588cc. 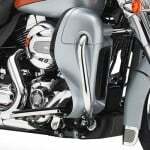 Bike has an air-to-air intercooler, which uses the ram-air inlet to force air through the intercooler via a plenum built into the front of the cast aluminum airbox. Small Mitsubishi turbo. From its appearance, flange configuration and the diaphragm valve, perhaps a TD0414G or 15G with simple diaphragm waste gate in a standard blow-through configuration. These turbos are frequently used in the aftermarket world in turbo applications where increased low-end power, quick response and a concentration on turbo-lag reduction are primary concerns. Its blow off valve (wastegate) is located in the up pipe. If you roll of gas, the valve activates to release pressure / prevent bending of throttle blades etc. It’s a very clean and impressive for an OEM configuration. Nice stuff, should be fun in a lightweight machine. 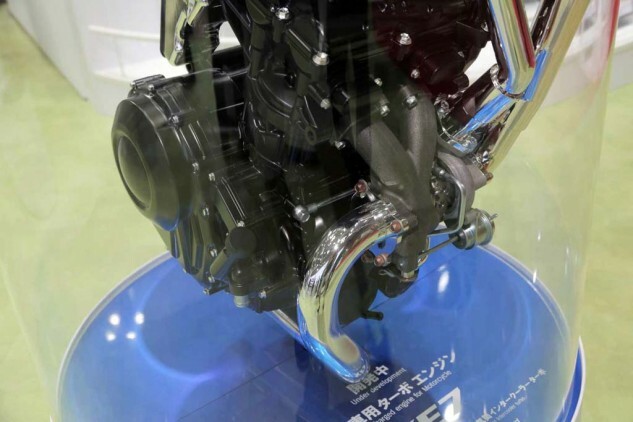 The question remains when we’ll see Suzuki’s turbocharged engine in a production model. 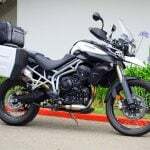 We know from trademark filings that Suzuki has registered the name Recursion, and it’s possible the name may stay from concept to production. Suzuki has also reapplied for trademarks to the name Katana as well as the Gamma logo notably used in the past with the RG500; both may be possible names for a new turbocharged Suzuki.